Drink too much over the holidays? Leave it to the teetotaling Soviets to shame you (like you didn't already do that sufficiently, vomiting on Aunt Argie's Pomeranian). 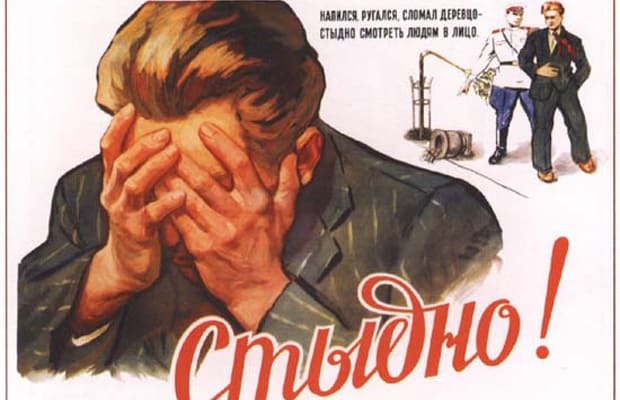 This collection of images, originally featured on the blog of Poemas del río Wang, captures the most ridiculous propaganda posters deployed in communist Russia to stop boozing. They're so effective, we've managed to stow our emergency Monday bottle of hooch in its drawer for another few hours. Discipline.